It’s a new day, and thus a new time to show off some lovely fan work. Today I bring you a double feature from artist nicochi. 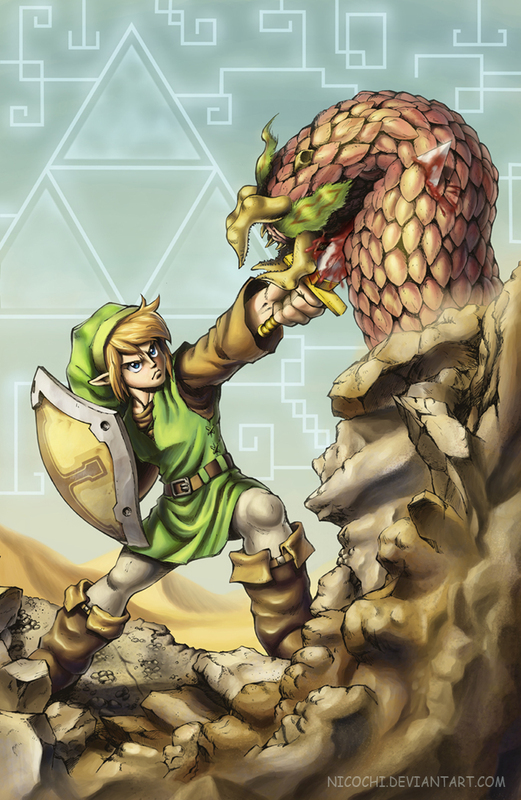 To the left you’ll see Link fighting off a red Leever from the original “Hyrule Fantasy”, which is what The Legend of Zelda was first called in it’s initial release in Japan. Everything in the picture is done to resemble the original Hyrule Fantasy outside of the actual shape of the shield, which is based on a more modern style. It’s awesome, and it totally reminded me that Zelda could do with some more Leever action. 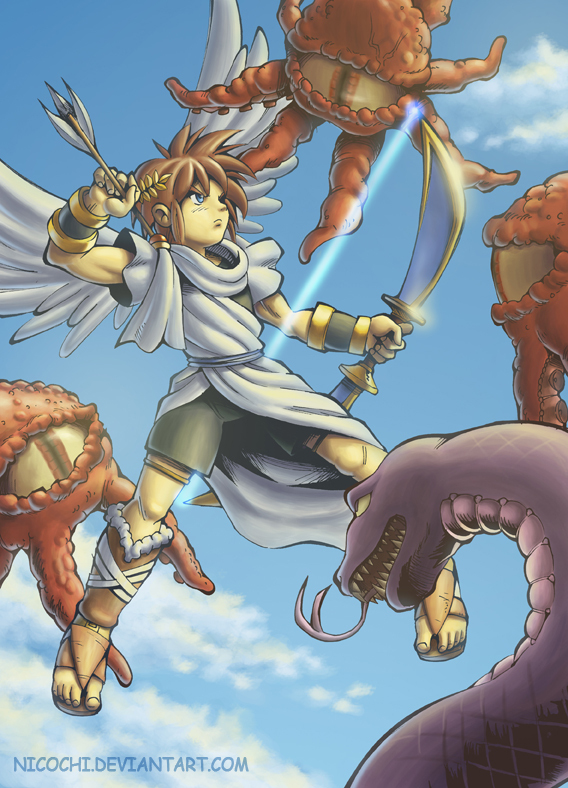 After the jump you’ll find a nice piece of art featuring Kid Icarus, which is back in season thanks to the eventual release of Kid Icarus: Uprising later this year. This image is based on the original Kid Icarus for the NES, and features some of the game’s classic enemies. We wish nicochi well and hope to see much more from him/her in the future. On a side note, nicochi has a second account on Deviant Art called EpicKnightOfJustice where he/she has been releasing all of his/her latest work.